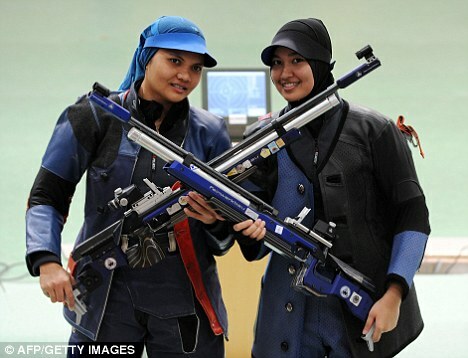 Nur Suryani Mohamed Taibi will be shooting for two at the London Olympics. The Malaysian shooter will be eight months pregnant when she's scheduled to participate in the 10m air rifle event this summer. 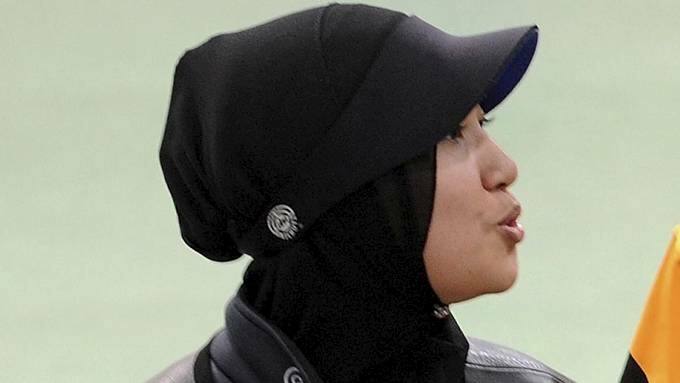 Her doctors have given her the tentative OK to compete, as has her husband and Malaysian Olympic officials. Most importantly, Suryani feels she'll be ready. "My aim is to compete," she told Reuters. "Maybe, at the end of June or whatsoever, if I have some problem that would jeopardize the baby inside me, I will reconsider whether I am going or not. But I feel I am strong and my husband says 'as long as you feel like that, energized to do that, it seems like that is your baby talking to you so you go.'" 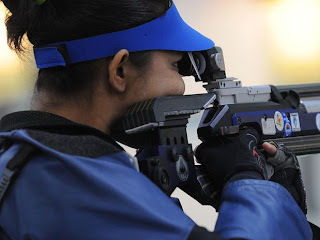 Suryani qualified for the Games at the Asian Shooting Championships in January, days after finding out she was pregnant. 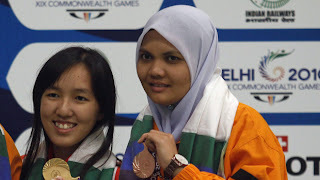 She recognizes that some people will question her decision to compete -- family members and some in Malaysia already have -- but with the doctor's blessings, Suryani doesn't expect any problems. "I will talk to the baby before I compete... 'no kicking, stay calm for one hour and 15 minutes only please,'" she said. The nation's best shooter will make some concessions to her gestational state. She plans on leaving London before the Closing Ceremony since doctors recommend she not fly after 35 weeks. And she won't be competing in the 50m competition, even though she achieved the qualifying marks. "Yeah, I cannot do a prone position with this big stomach," she said.